The Cleveland Browns have been without a full-time head coach since they ​finally, mercifully fired Hue Jackson last week after a 2.5 year tenure that saw them win just four games. One surprise candidate has emerged: Patriots offensive coordinator Josh McDaniels. 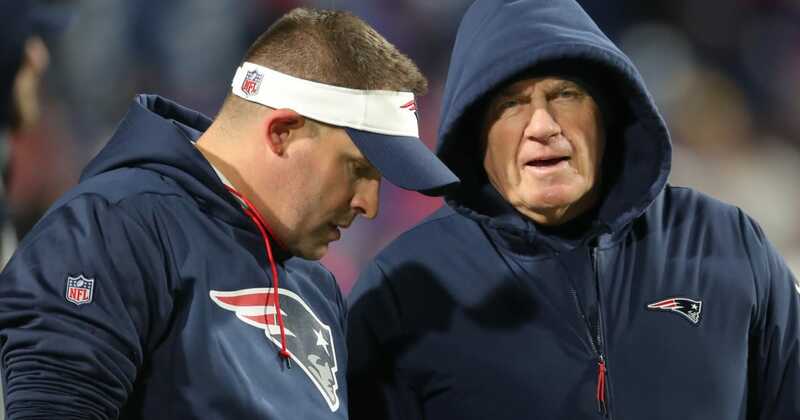 ​​Now, there's a lot to think about here when considering whether or not McDaniels would want to leave his cushy position as the Peter Pettigrew to Bill Belichick's Voldemort to take the reigns of the most inept franchise in sports. First of all, he's ​making a lot of money in New England, so he'd have to give that up to be the head coach in Cleveland. Second of all, and perhaps most damning, is the total BS move he pulled on the Colts last offseason, agreeing to be their head coach before reneging, leaving Indianapolis in the lurch. Belichick coordinators have had a pretty bad track record as head coaches, including McDaniels' disastrous tenure in Denver in 2009-10.